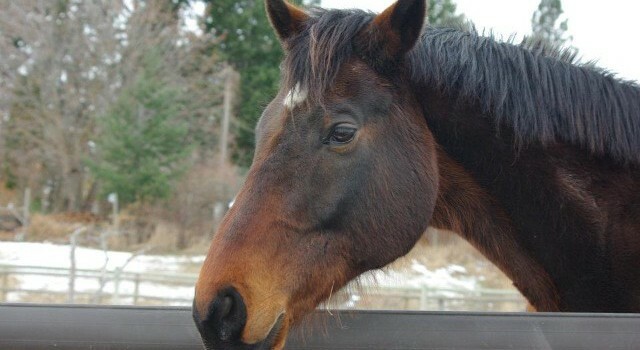 Primero was Old Friend Canada’s first rescue horse. He had a difficult start in life as a racehorse and wasn’t going to have a good ending. He lived happily with us for nine years. During that time, he recieved training in both Tennessee and Wyoming with Peter Campbell. This helped to turn his head around quite a bit. Primero was a very loving fellow and a great companion to Maxwell. He taught us volumes about horses. Tragically, he passed away in the spring of 2012 from complications of colic surgery. We miss him terribly but know we made a difference in his last nine years and he made a difference in our lives. Primero is the inspiration for Old Friends Canada- it is his lasting legacy.